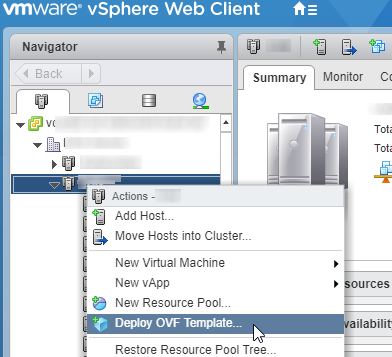 Select LocalFile and browse to the downloaded ovf. 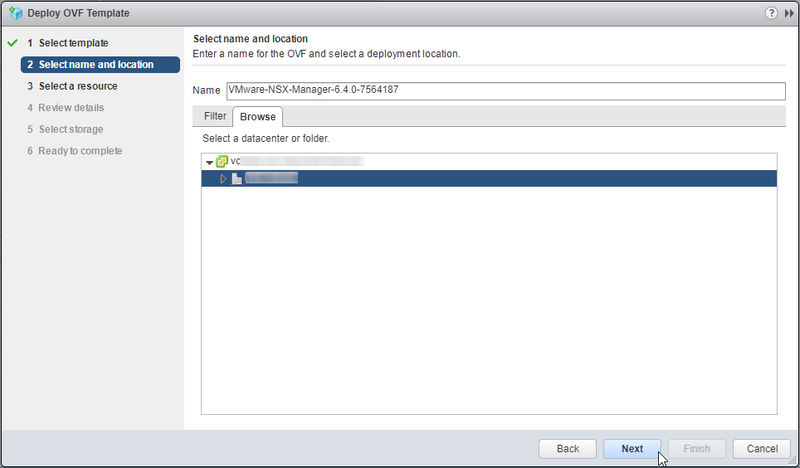 Change the name for the appliance as desired and select a datacenter or folder to deploy to. 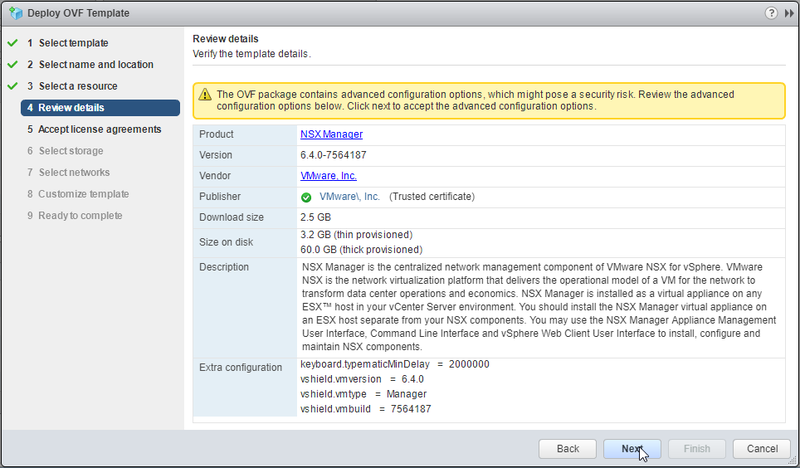 Click on Next to accept the advanced configuration options. 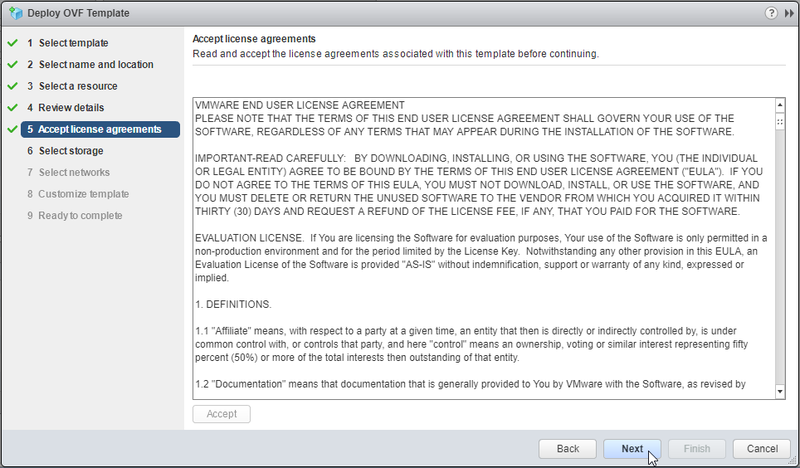 You have to accept the license agreements. 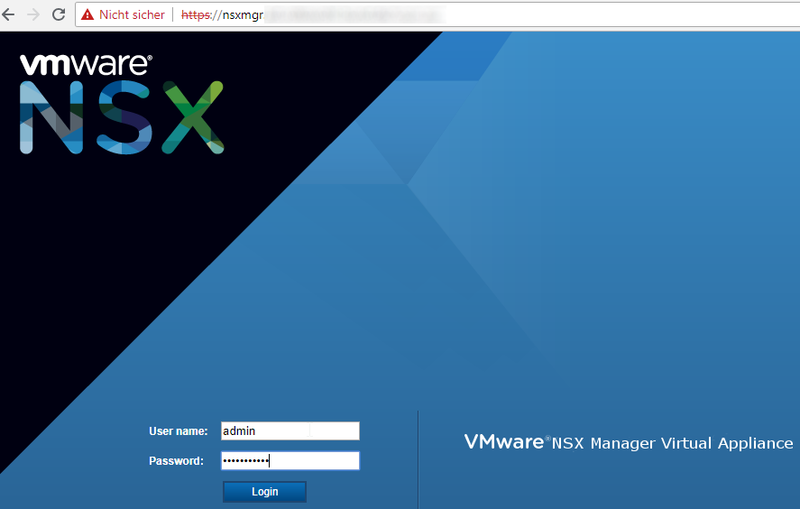 Wait until the VM is deployed. 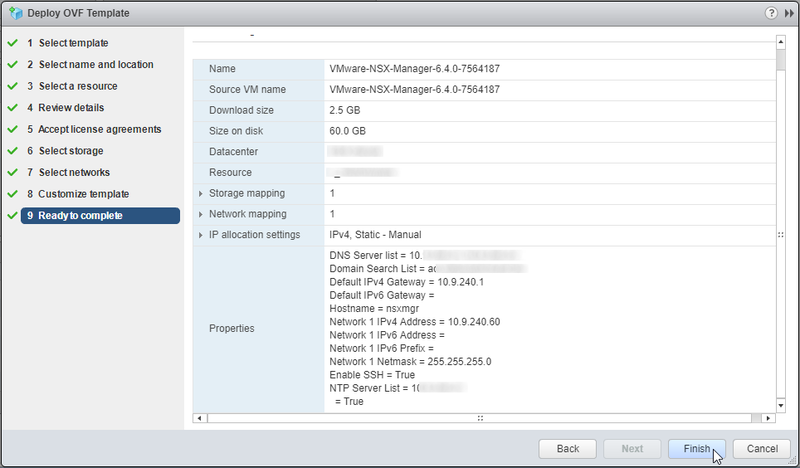 Then power on the NSX Manager. 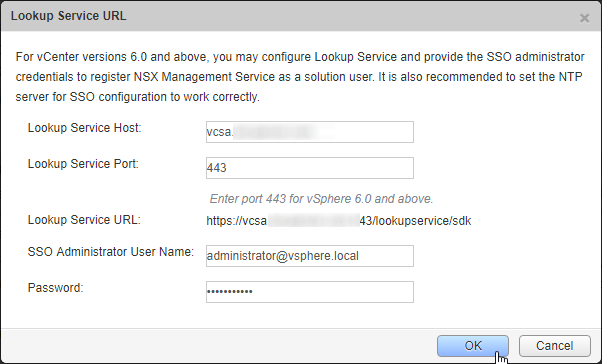 Enter the URL of your vCenter Server and use the SSO Administrator Account. 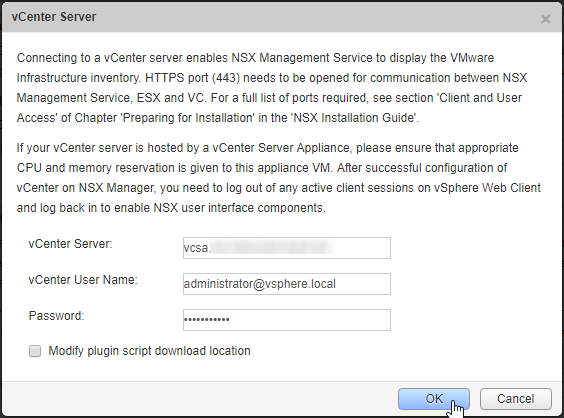 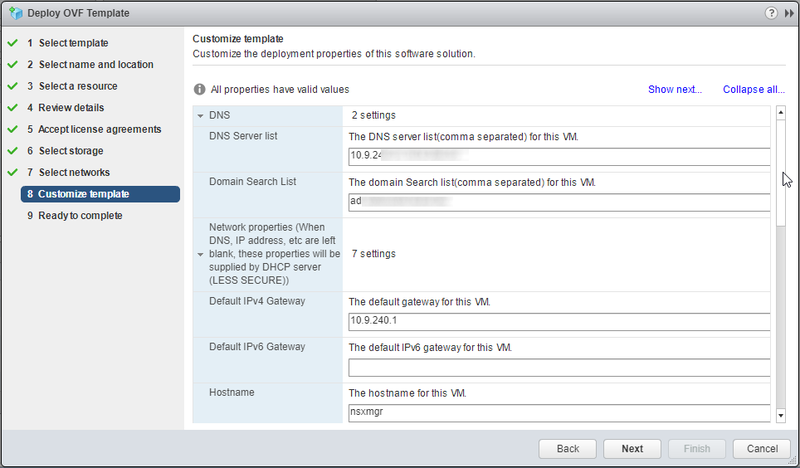 Enter the FQDN of your vCenter and the Credentials of your administrator. 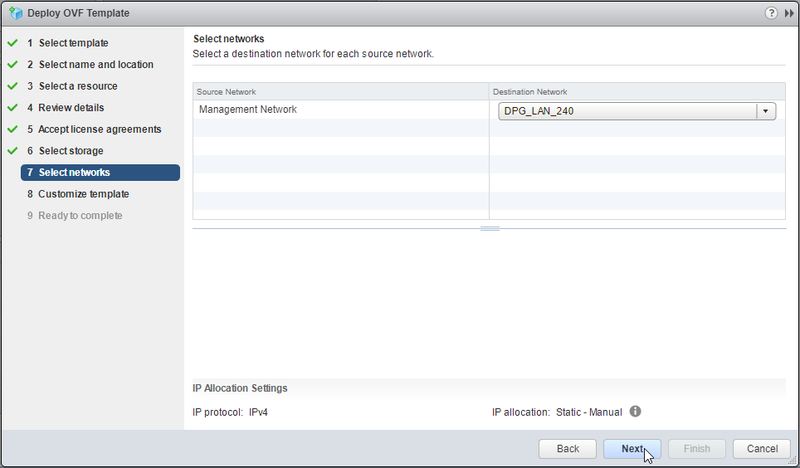 After that the second status should show connected too. 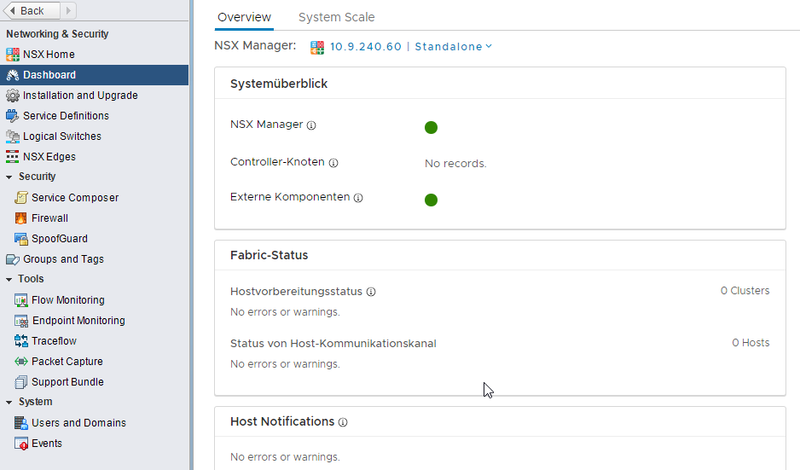 By using the refresh button behind Last successful inventory update the status shows a timestamp. 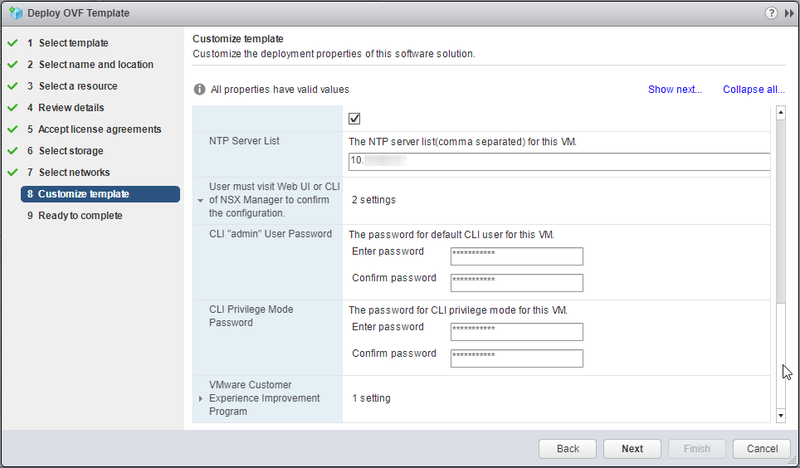 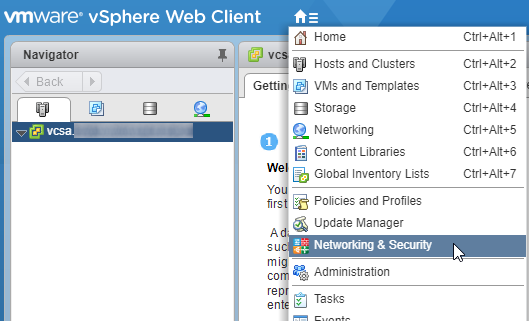 If you are logged into your vSphere WebClient – logoff and login again. 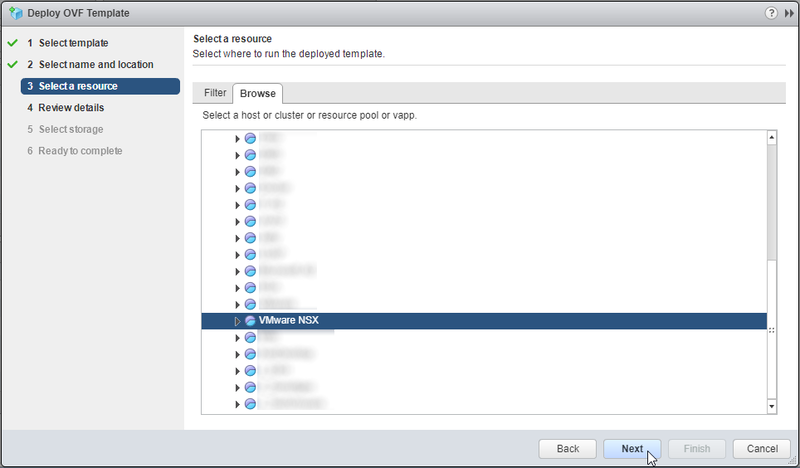 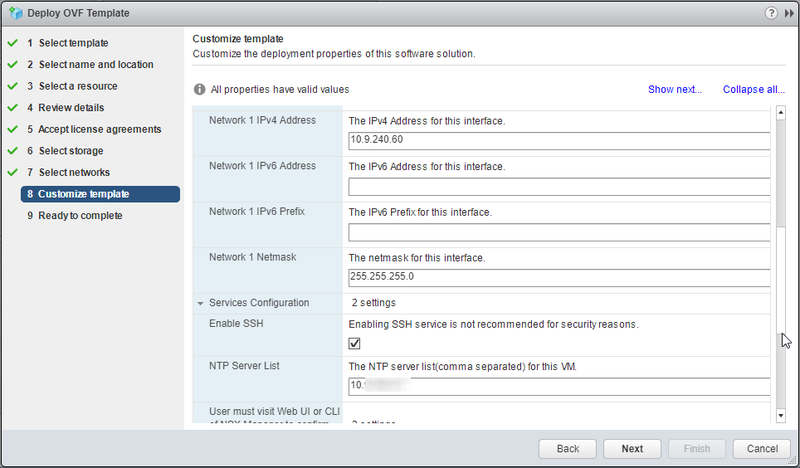 The deployment and integration of NSX Manager is complete. 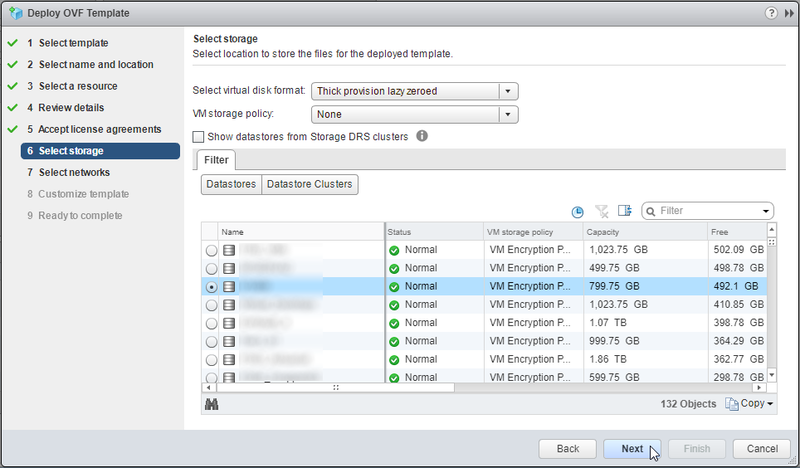 Next steps will be the deployment of three controller VMs.